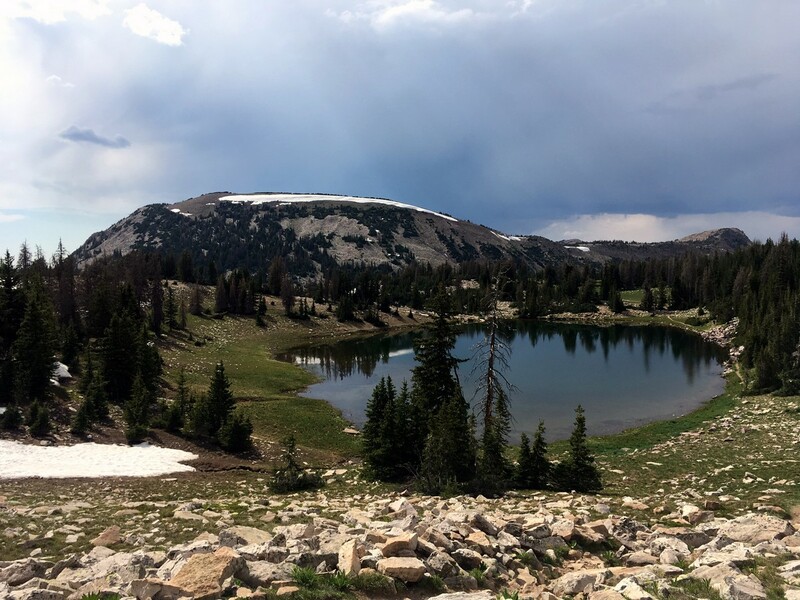 Just a short distance from the Wasatch Mountains near Salt Lake City, the Uintas are great for anyone looking for a cool active holiday. Here’s how to plan it. 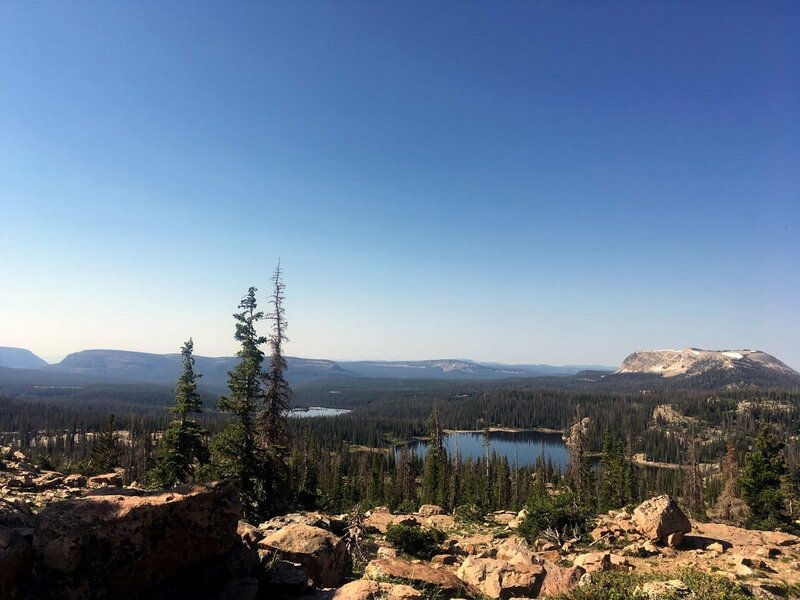 The Uintas’ main bragging right always focuses on the fact that it’s the highest east-west mountain range in the contiguous United States, or that Kings Peak is the highest peak in all of Utah. While the mountains are great, we really love the lakes and the trees. 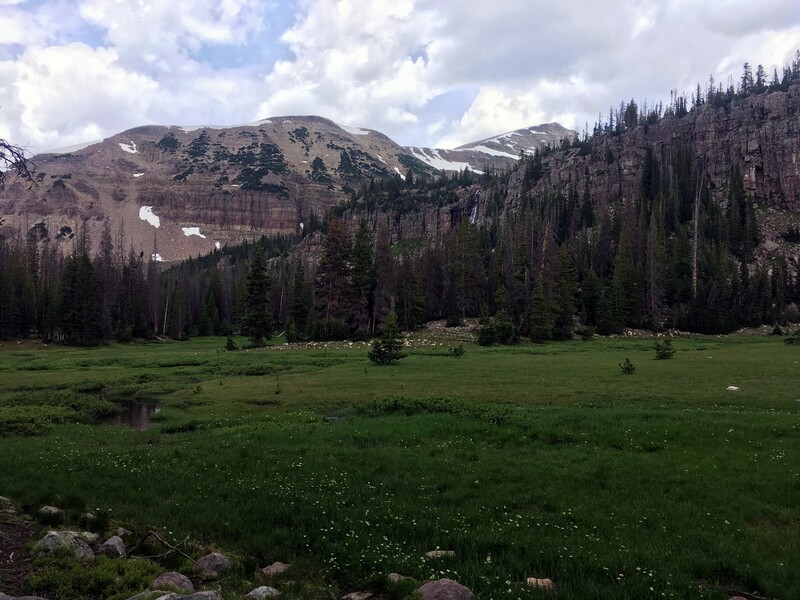 Being situated mainly in the Uinta-Wasatch-Cache National Forest, the High Uintas area makes for a beautiful hiking trip. There are over 1000 lakes in the area and 500 of them are inhabited with game fish. There are lots of great mountain areas in Utah, and the sheer number of lakes here really makes this area unique. This area had been inhabitited for an estimated 15,000 years before it was made into a national forest. We know that several groups of Native Americans spent time here: the Ute, the Goshute, and the Northwestern Shoshone. Later, pioneers that were part of the Church of Later Day Saints came to the region as well. 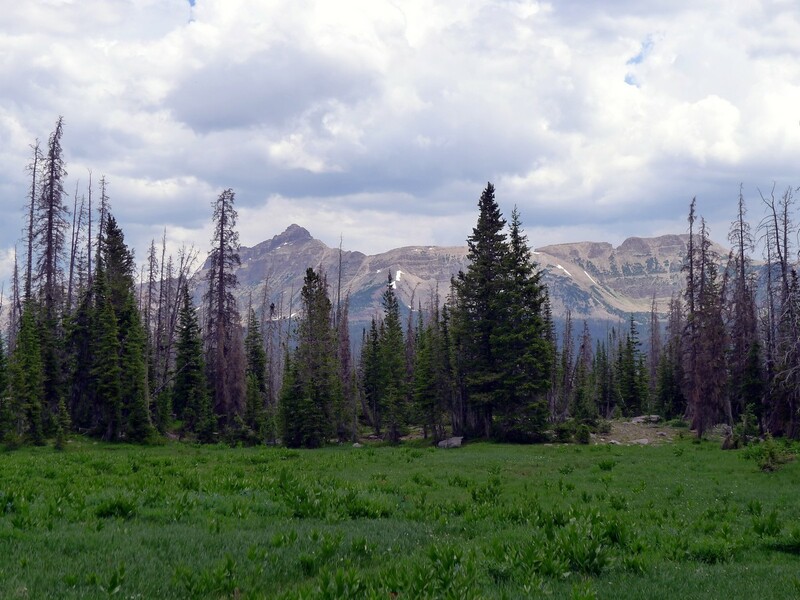 It was offiicaly made a Forest Reserve in 1897 with the name Uintas stemming from the Ute word for “pine forest”. 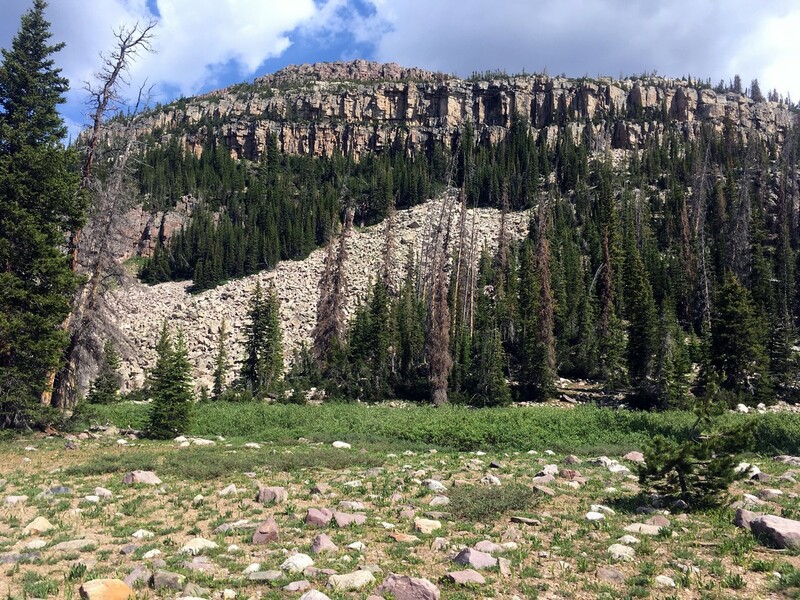 When planning your hiking trip you’ll want to decide how close you want to get to the park and how many non-hiking related activities you want to do. The further away you are from the park the more there is to do. If you stay in Park city, for example, you’ll be able to find better restaurants, some spas, stores, etc. If you stay in Kamas you’ll be at the Park’s doorstep; however, you’ll have less options for dining out. And finally, if you go camping in the park check to confirm the campground has water, otherwise bring your own water or a means of filtering water. If you’re planning to get to the Uintas Mountains the best airport to go to is the Salt Lake City Airport (SLC). 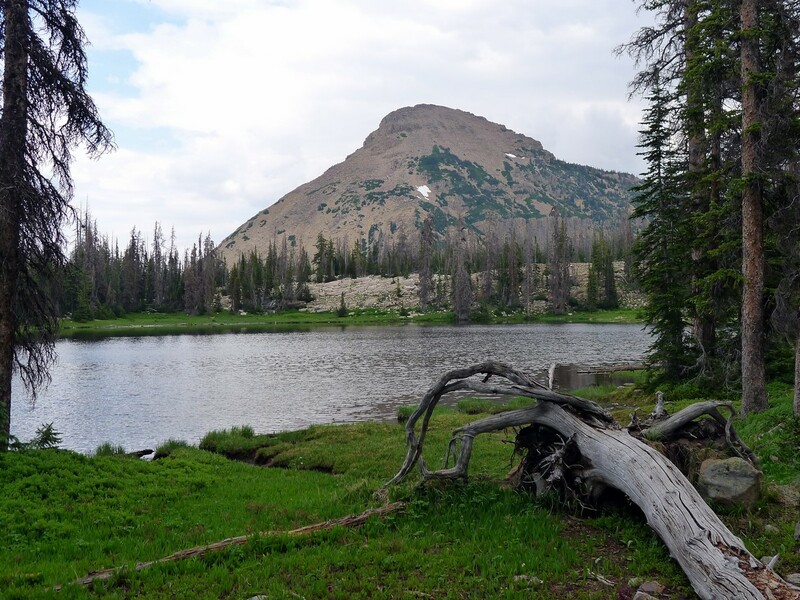 SLC is 48mi away from the city of Kamas, which is at the western edge of Uinta-Wasatch-Cache National Forest. There is a bus that can take you from the Airport to the town of Kimball Junction, but other than that, you’ll need a car or taxi to take you the rest of the way to either Park City or Kamas. We think the best months to go on a hiking holiday are, unsurprisingly, the summer months. 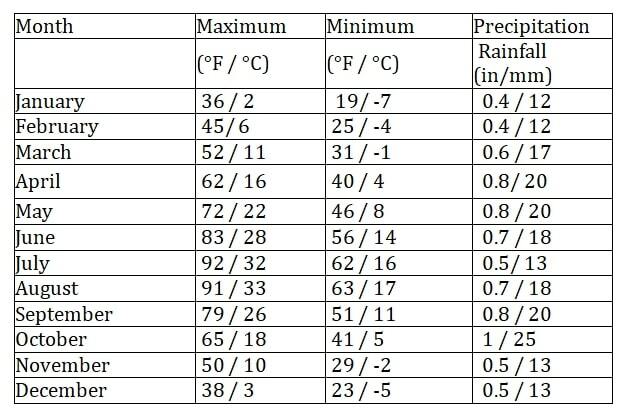 The spring is a little too wet and cold for our liking and some nights can get below freezing. By the end of May the weather begins to turn for the better. During July and August the crowds will pick up, but you won’t get too backed up on the longer harder hikes. With so much great hiking terrain near Salt Lake City this region doesn’t get as crowded as other places nearer the capital; although, weekends obviously see more visitors. We should also mention that if you’re planning a ski trip, which is a great idea too, avoid the end of January because that is usually when the Sundance film festival takes place, and all the hotels in the area get booked up. Given that the cities near the Wilderness Area are smaller and spread apart, we think that renting a car is the easiest choice. Getting to the trailheads is pretty hard without your own vehicle. Because the Uintas is in a beautiful national forest you’ll have to stay outside the park (unless you want to go campng, which we cover). We like staying near Kamas or Woodland. These little towns are close to National Forest but they don’t have as many non-hiking activities. Park City, Utah is great beacause it’s a good sized city with lots to do but, unfourtunately, it’s a little further away. If you want to stay very close to the park, the best place to go is the Woodland Farmhouse Inn Bed and Breakfast. The hosts are great and the breakfasts will fill you up for a day of hiking. What makes this place special is their bucket shower, which is effectively a rain-shower showerhead except folksy and memorable. We loved the shower and so does everyone else who stays here. This is such a great pick due to location and hospitality. Bear River Lodge is located on the north side of the park. They have cabins to rent with full kitchens.  Their five bedroom cabins, as well as their two bedroom cabins, are spacious and aesthetically comforting; however, we don’t recommend their one-bedroom cabins because they are split-levels and can get a little loud. We like staying in Park City. It’s only 30 minutes from the western edge of the area, and the services and accommodations make it very comfortable! Steinlodge has a variety of room sizes as well as a house or condo rental. They advertise a European décor, although we think of it as Luxury European Chalet meets hunting lodge. They have a great restaurant, spa, and breakfast buffet. We like it more than some of the other luxury hotels in the area. The quality is very comparable and the price is way better. One place we’ve loved staying at, that can sometimes be a great bargain, is the Park Plaza Boutique Resort. We’ve managed to get this place for very reasonable, mid-scale prices, which is great considering the clean rooms and amazing pool area. Definitely keep a close watch on this place because it’s worth it. Traveling on a dime? Our hostel pick in Park City is the creatively named Park City Hostel. The common room is spacious. The dorms are new and clean. There is even a spacious patio, so we have no complaints for this hostel. 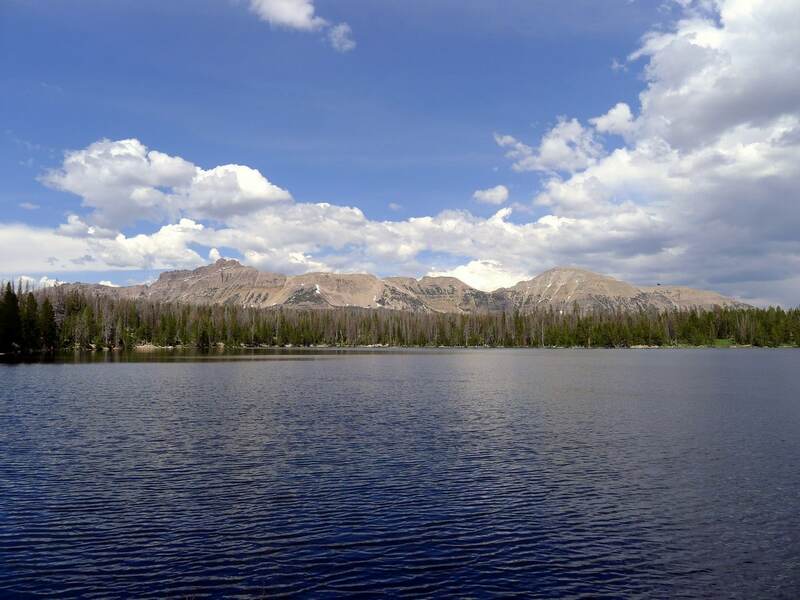 Our camping recommendation is the Washington Lake campground. The sites are good and they have lots of different sizes of sites depending on your party. We love this site because three of our hikes (Ibantik Lake, Clyde Lake and Haystack Lake) can be completed right from this campsite. We always think that the second best part of a hiking holiday (after the hiking obviously) is getting to enjoy a delicious meal after a full day of activity. If you want upscale we recommend Riverhorse on Main in Park City. They really pay attention to service, plating and décor here, which really pushes this restaurant into the realm of upscale. The pleasant surprise is that the portions are actually quite large. Their house special is halibut, so make sure you ask for it. You might not guess it, but Park City’s hottest restaurant is a sushi bar: Yuki Yama Sushi. Considering this isn’t a huge town, and considering it’s not located on the coast, the sushi here is quite excellent. Their hot food items are creative and diverse for those who don’t like fish. State Road Tavern & Restaurant is where to go in Kamas for a good mid-scale restaurant with great views and décor. The menu is extremely varied, so anyone can find an item that suites them. Looking for a spot of lunch in Kamas before or after a hike? The Mirror Lake Diner serves the kind of American Fare that is authentic and well loved. Plus, they serve breakfast all day, which is always amazing. If you’re in Park City looking for a cool place to grab a lunch or dinner, you should visit High West Distillery. They make their own spirits there (famous for their whiskey) and the atmosphere has always been great when we go. The food is good too, so consider this place if you want to sample some whiskeys while grabbing a bite. WHAT ELSE CAN YOU DO BESIDES HIKING IN The Uintas Mountains? We love Park City, and when we visit we always make sure to spend some time walking through the historic main street. All the buildings have a Wild West feel and the shops and art galleries are fantastically window-shop-able. If you are in the mood for some thrills we recommend the Alpine Coaster in Park City. It’s like a roller coaster but better. You sit alone in a little go-cart like contraption attached to the rails of a 1mi track that winds down through the forest. It’s a real blast. If it’s a hot day the best way to have a little adventure is out on the river. Our favourite rafting company is Utah Outdoor Adventures. They’ll take you to a river in the Uintas from their location in Park City. They do a great job guiding and helping first-time rafters. Too much excitement? We get it. Sometimes after a hard hike through the beautiful wilderness you want to relax and reflect on the beautiful sights you saw. For that we recommend The Rock Resorts Spa. They have a treatment designed specifically for sore legs after a day of hiking or skiing. Another great way to spend the day is with a little fishing. 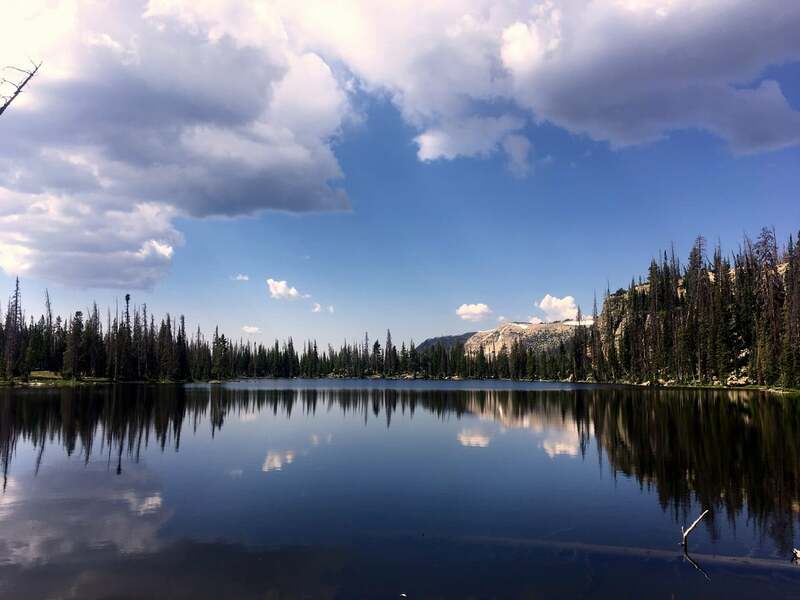 The Uintas are well known for their many fishable lakes. Our favourite guiding service, based near Kamas, is Provo River Guide Service. Chances are good that you’ll catch something, but even if you don’t, their guides make the experience fun no matter what. The park is host to both Mountain Lions and Black Bears. This means it’s best to travel in groups, bring your bear spray, keep your food secure, etc. The park rangers will have all the information for you. Lightening storms can be quite common here in the afternoons, so if you see one brewing head down off the mountains and find some shelter. Some people might have trouble with the altitude on some of the hikes. If anyone starts to feel dizzy, nauseous, or short of breath make your way down the mountain as quickly as possible. The bugs can be a bit much here, so bring or buy some repellent. Due to the elevation, this area can get a little colder and the weather is known to be a little unpredictable. There have been rare reports of hail in August! Always pack layers with you so you don’t get caught in the cold. 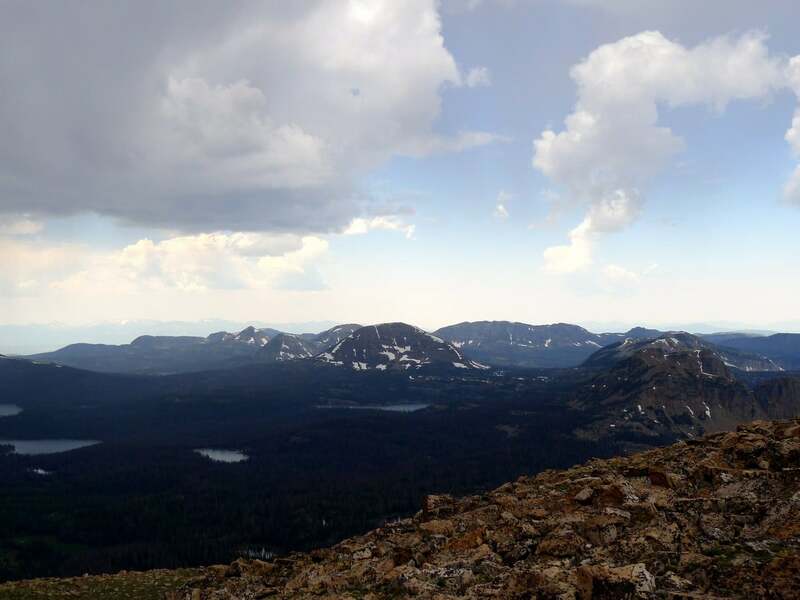 The highest Boy Scout camp in the US, Camp Steiner, is located in the Uintas Wilderness. 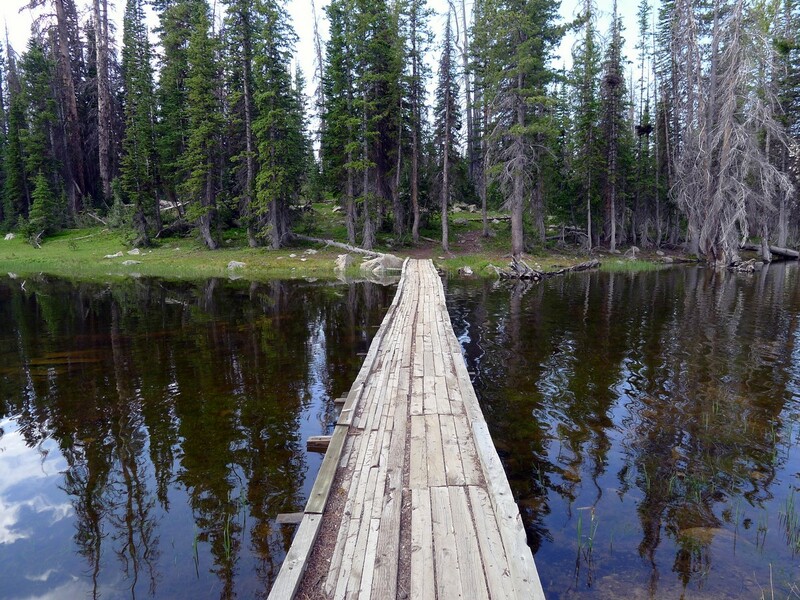 If you’re looking for a big adventure, look into undertaking the Uinta Highline Trail. It crosses the whole range of the park: over 104mi long.